As a general rule, don’t stop mowing your lawn just because summer is over. Instead, keep on mowing until the weather no longer allows it or winter hits too hard. Your lawn will still grow, and still needs to be properly maintained – it sounds obvious, but it can be easy to slack off during the busy fall months. When you approach your last mowing of the season, cut the lawn short, then shorter to help prepare it for winter. Autumn is actually one of the best times to weed and apply pesticides. 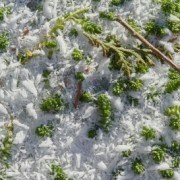 There’s a good chance that your lawn picked up a whole lot annoying weeds over the spring and summer. If you haven’t had a chance to get rid of them once autumn hits, then this is a great time to finally tackle those dandelions, grasses, errant flowers, and other annoyances. Whether you dig them up or use pesticides, doing this in the fall will make it more likely that the toughest weeds will be too weak to survive the winter. Aerating refers to plucking out plugs of soil in your lawn to make sure that water and nutrients can make it below the matt of grass to the roots (you can rent a machine for this). Autumn is a great time to aerate your lawn. 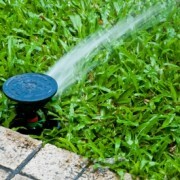 You don’t have to worry as much about destroying vulnerable growing grasses, and those holes allow your lawn to get an extra helping of water and nutrients to survive the winter. Just make sure that you rake up the plugs of dirt after aeration. Everyone knows that autumn is the time for big leaf piles. If you aren’t looking forward to sweeping up all those falling leaves, here’s another important reason: your lawn needs to breathe. 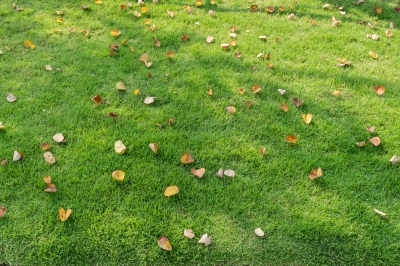 A coat of leaves over the surface will encourage mold, choke out your grass, and cause other problems. Sweep up your leaves before they start to form a thick mat for best results. Autumn is hands down the best time for you to fertilize your lawn. The nutrients in Hydro Mousse have time to sink into the soil before the winter, and this will benefit your lawn both now and when it is time to create some new green growth in the summer.